You’ve created a great game, so why do players keep abandoning it? The answer is frictions— the obstacles and flaws that erode player satisfaction, disrupt immersion, and ultimately cause players to look elsewhere. This abandonment not only impacts your game and revenue but also your studio’s reputation for years to come. 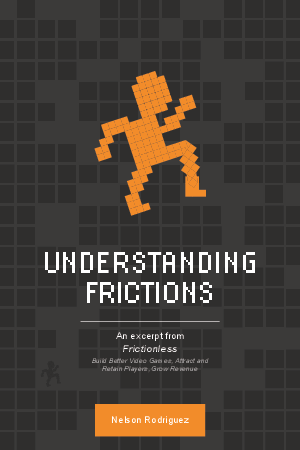 In “Understanding Frictions” Akamai’s Nelson Rodriguez, a gaming industry insider who’s helped launch successful titles like Halo 3, will explain how to minimize frictions so you can maximize player enjoyment, loyalty, and revenue. Read “Understanding Frictions” so you can analyze your game’s points of friction using our matrix and learn how to manage, reduce, or eliminate frictions at every development stage.